UnderCover stands behind the quality of their products and proudly offers warranties to cover the workmanship, hardware and the products themselves. Our experienced Customer Service Team is always ready to help with warranty questions and registrations. Not covered under this warranty is failure due to neglect, improper installation including any modifications to installation hardware, alterations, addition of equipment, abuse, accident, weather-related damage, exposure to chemicals that are not labeled “safe for rubber” and normal wear from lack of maintenance. 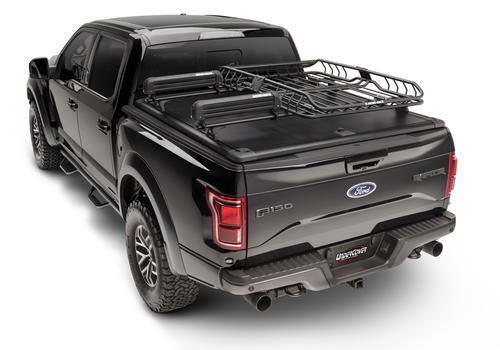 For the Rhino Rack Warranty see the Rhino Rack owner's guide. 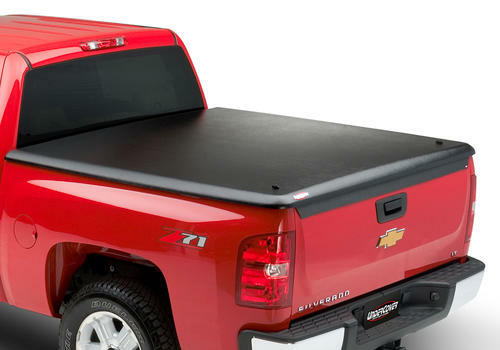 Not covered under this warranty is failure due to neglect, improper installation including any modifications to installation hardware, operating the truck with your RidgeLander in the open position, alterations, addition of equipment, abuse, accident, weather-related damage and normal wear and tear from lack of maintenance. Not covered under this warranty is failure due to neglect, improper installation including any modifications to installation hardware, operating the truck with your UnderCover in the open position, use in competitive racing, alterations, addition of equipment, abuse, accident, weather related damage, exposure to chemicals that are not labeled “safe for plastics”, and normal wear and tear from lack of maintenance. An UnderCover product not painted at the UnderCover factory are excluded from the lifetime paint warranty. 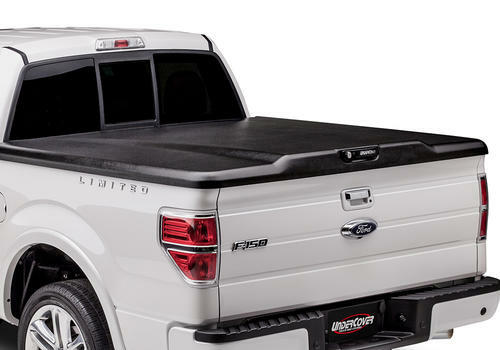 UnderCover, Inc. warrants the ABS polymer structure of your tonneau cover to be structurally free from defects in material and workmanship for the life of your purchase. The gas/hydraulic lift struts and mounting hardware are warranted to be free from defects in material and workmanship for (1) year from the retail date of purchase. This warranty applies only to the original purchaser, only when purchased from an authorized UnderCover dealer and is nontransferable. Your original sales receipt will serve as proof of purchase for this warranty. 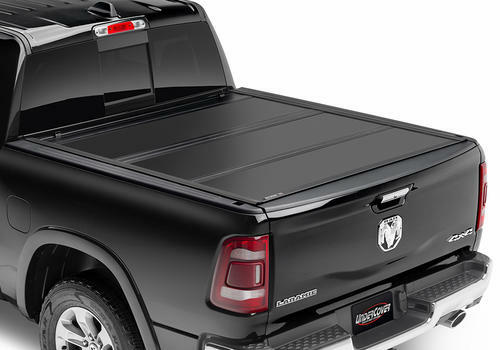 This warranty only applies to the original truck or original installation. Before credit can be issued on a warranty claim, proof of defect may be required in the form of pictures. This will be determined at the time of claim. UnderCover, Inc. warrants, for life of the product, that the exterior paint will not abnormally fade or peel, due to material or workmanship defect, faster than the original pickup it was installed on. UnderCovers’ not painted at the UnderCover factory are excluded from this warranty. UnderCover does not guarantee a 100% paint match, due to variables from one truck's paint to another, some variance is to be expected. Not covered under this warranty is failure due to neglect, improper installation including any modifications to installation hardware, operating the truck with your UnderCover in the open position, use in competitive racing, alterations, addition of equipment, abuse, accident, weather related damage, exposure to chemicals that are not labeled “safe for plastics”, and normal wear and tear from lack of maintenance. Any UnderCover not painted at the UnderCover factory are excluded from the lifetime paint warranty. Not covered under this warranty is failure due to neglect, improper installation including any modifications to installation hardware, alterations, addition of equipment, abuse, accident, weather related damage, exposure to chemicals that are not labeled “safe for rubber” and normal wear from lack of maintenance. 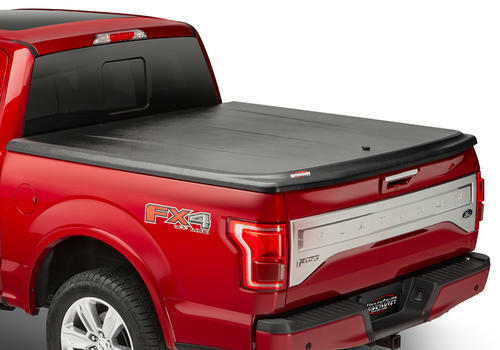 UnderCover, Inc. warrants the ABS polymer structure of your tonneau cover to be structurally free from defects in material and workmanship for (3) years from the retail date of your purchase. The gas/hydraulic lift struts and mounting hardware are warranted to be free from defects in material and workmanship for (1) year from the retail date of purchase. This warranty applies only to the original purchaser, only when purchased from an authorized UnderCover dealer and is non-transferable. Your original sales receipt will serve as proof of purchase for this warranty. 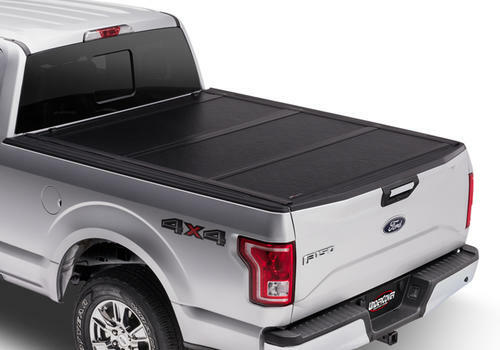 This warranty only applies to the original truck or original installation. Before credit can be issued on a warranty claim, proof of defect may be required in the form of pictures. This will be determined at the time of claim. 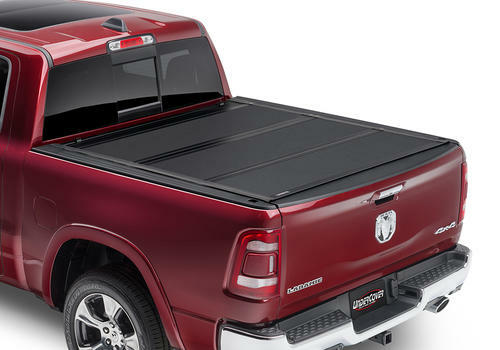 The ABS polymer body of your UnderCover Elite Smooth tonneau has a finish that is intended to be painted with an automotive paint finish. 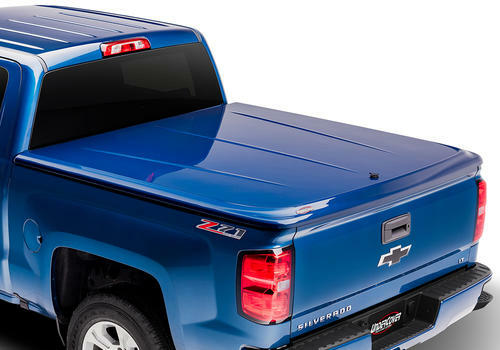 Without an automotive paint finish applied, the cover is susceptible to sun fade and degradation. Once the cover is painted, follow the paint shop or dealer instructions for care and maintenance of the paint finish. Paint finish is not covered by this warranty. 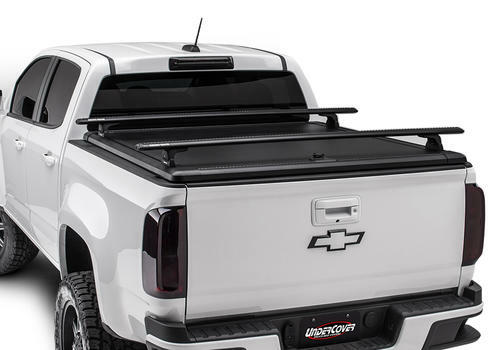 UnderCover, Inc. warrants that the ABS polymer structure of your SwingCase will be structurally free from defects in material and workmanship for (1) one year from the retail date of purchase. The lock, hinges, and hardware are warranted to be free from defects in material and workmanship for (1) one year from the retail date of purchase. This warranty applies only to the original purchaser and is nontransferable. Your original sales receipt will serve as proof of purchase for this warranty. Be sure to retain your receipt for your proof of purchase date. Before credit can be issued on a warranty claim, proof of defect may be required. This can be determined at the time of the claim. Not covered under this warranty is failure due to neglect, improper installation including any modifications to installation hardware, alterations, addition of equipment, abuse, accident, weather related damage exposure to chemicals that are not labeled “safe for plastics”, and normal wear from lack of maintenance. Always read the ingredients of any product you are using to clean your SwingCase. Make sure that you use only products that are safe for use with plastics. Many chemicals contain material that will permanently discolour your SwingCase. This is not considered a manufacturer defect. Incidental or consequential damage or loss of contents due to use, neglect, lack if maintenance, misuse, or abuse of the SwingCase is the sole responsibility of the truck owner and operator. 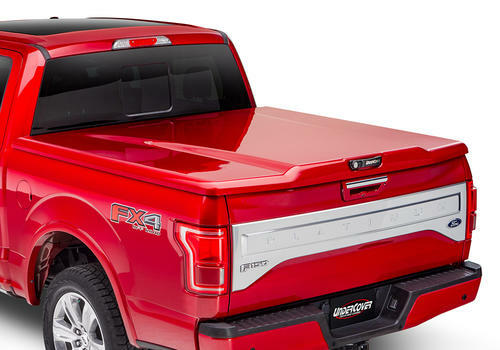 Paint damage to your truck is not covered under this warranty. 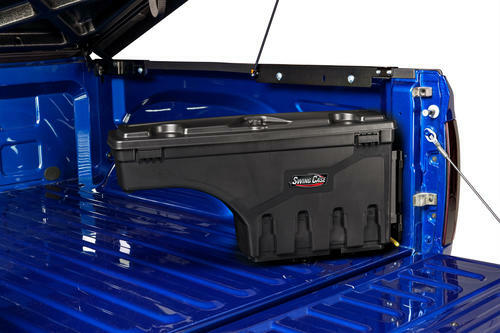 When operating your truck always keep the SwingCase in the stowed position with the lid closed and latched. In the event that your SwingCase is found to be defective under the terms of this warranty, it is at the discretion of E. D. Industries, Inc. to repair or replace the defective part. All repairs must be made by an authorized SwingCase dealer or under the direction by the factory. In the case of either event, UnderCover, Inc. is not responsible for any transportation costs associated with the warranted claim. The ABS polymer body of your SwingCase requires only periodic cleaning with mild car wash soap. ONLY USE CLEANERS, WAXES OR PRODUCTS THAT ARE LABELLED “Safe for use on plastics”. Do not let chemicals or substances come into contact with your SwingCase, unless labelled “safe for plastics”. Avoid use of all abrasive type cleaners as they may dull the finish. Be sure that products such as OFF® or other insecticides do not get onto the SwingCase from contact with your hands or other parts of your body. This could cause serious damage and discolouration. UnderCover, Inc. warrants the material of your light brow to be structurally free from defects in material and workmanship for the life of the product. UnderCover, Inc. warrants, for life of the product, that the exterior paint will not abnormally fade or peel, due to material or workmanship defect, faster than the original vehicle it was installed on. Products not painted at the UnderCover factory are excluded from this warranty. UnderCover does not guarantee a 100% paint match, due to variables from one vehicles paint to another, some variance is to be expected. Not covered under this warranty is failure due to neglect, improper installation including any modications to the product, use in competitive racing, alterations, addition of equipment, abuse, accident, weather related damage, exposure to chemicals that are not labelled “safe for plastics”, and normal wear and tear from lack of maintenance. Products not painted at the UnderCover factory are excluded from the lifetime paint warranty. The light brow requires only periodic cleaning with mild car wash soap. Avoid use of abrasive type cleaners as they may dull the finish. Use only cleaners and waxes that are safe for use on clear coat paint finishes. UnderCover, Inc. warrants the material of your NightHawk Jeep® Grille to be structurally free from defects in material and workmanship for the life of the product. The Jeep® Grille requires only periodic cleaning with mild car wash soap. Avoid use of abrasive type cleaners as they may dull the finish. Use only cleaners and waxes that are safe for use on clear coat paint finishes.